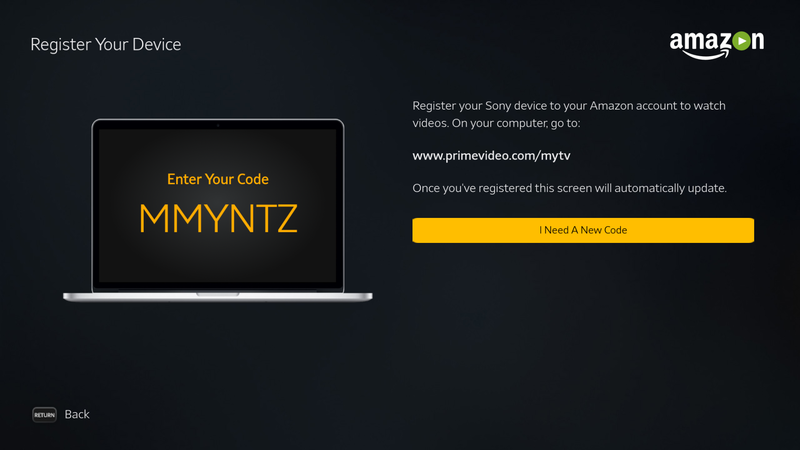 How to register Amazon Prime Video service to your Android TV. 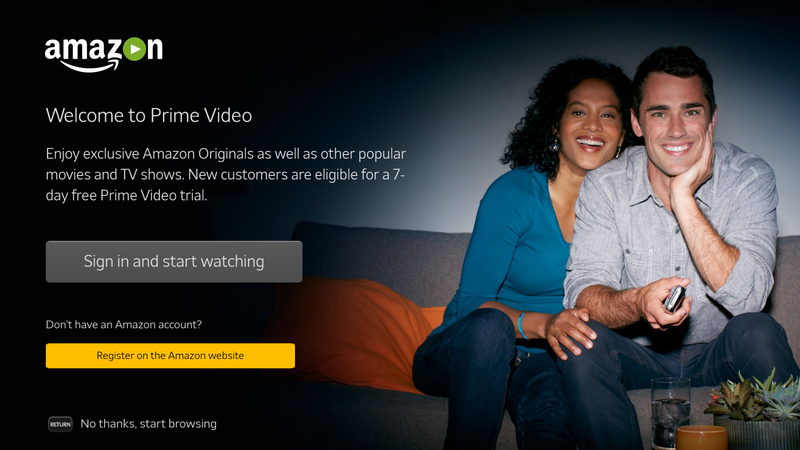 Follow the steps below to register your device to Amazon Prime Video service. Amazon service registration requires using an Internet browser on a computer or other Internet capable device. Using the remote supplied with the Internet device, press the Home button. Select Amazon Video icon located under Featured apps. From the Amazon Video app, select Register on the Amazon website. Write down the code provided. Using a computer, go to http://primevideo.com/mytv. Sign-in with an active e-mail address and password or click Create your Amazon account. Use the code written down on step 3 to link the device with the Amazon account. .
A confirmation message appears on the TV screen if registration is successful. Select Continue on your TV Amazon Video app to enjoy Amazon Prime Video.